This seventh edition offers six exhibitions around the Fashion & Textile theme. Clothes, costumes, dresses, jewellery, and many more exceptional creations that are put into light. These exhibitions present the clothing specificities from emblematic periods throughout History. From Antiquity to contemporary times, many objects never presented are to discover! During 19th century, Normandy ranks among the biggest producing regions for printed cotton with Mulhouse, Nantes and Jouy-en-Josas. This industry has spread among the neighbouring valleys of Rouen since 1759 and will last until the early 21st century. Intended for furnishing and clothing, the printed blends invade the women and men fashion industry. This exhibition intends to trace the history of the “indiennage” technique in Normandy under the scope of fashion in order to understand how these clothes were commercialized. The inscription of this local industry into the triangular commerce and slave trade will be approached here for the first time. 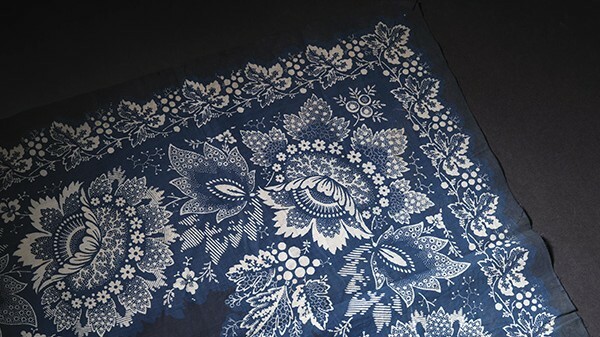 This exhibition will be the opportunity to unveil the richness of the museum’s textile collection. Loans from museums and institutions from Normandy will enrich the exhibition by treating about both the technical evolutions of the “indiennage” technique and the stylistic evolutions from their creation to this day.